Read more about our BLS, first-aid, and CPR training courses to register for the one that best fits your specific needs. You can find detailed descriptions, as well as cost information. Get the tools, tips, and training you deserve and ensure that your certifications are up-to-date. Our courses are perfect for nurses, EMTs, paramedics, and other professionals. To sign up for a course, view our CPR calendar. Call (571) 385-4344 for additional details. LAWSON TEC is an all-encompassing BLS educational facility that trains both on site at our Herndon, VA facility and off-site with experienced Instructors. Our hours of operation vary. We are usually open between 9:30 a.m. and 4:00 p.m.
Summer hours vary between 10:00 a.m. and 3:00 p.m.
LAWSON TEC is not wheelchair accessible. We are on the second floor of a townhouse which is accessed by stairs. 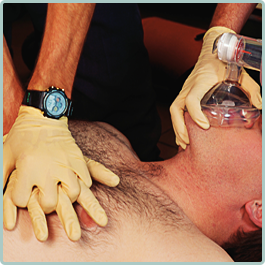 Lawson TEC was formed in 1993 and is considered to be a leading authority in AHA BLS. We are able to answer most questions. We can also give you contact information for more complete answers.